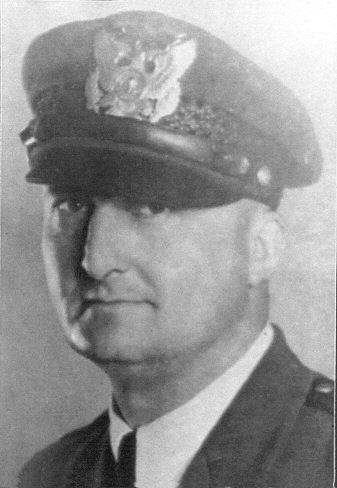 On Tuesday, December 22, 1942, Washington State Patrol Trooper John Gulden conducted a traffic stop on a pickup truck that was driving without headlights on the Maryhill Loops Road, south of Goldendale. The occupants in the vehicle, unbeknownst to Trooper Gulden had committed an armed robbery in Yakima earlier in the day. The truck was also stolen. When the truck came to a halt, one of occupants got out and began firing at Trooper Gulden. He was transported from the scene to a hospital in the Dalles where he died the next day. The suspects were eventually caught after a massive manhunt. They were found hiding aboard a ferry that crossed between Washington and Oregon along the Columbia River. They were identified as Robert C. Jennings, 18 and John W. A. Windmayer, 16, both from Yakima. Patrolman Gulden served the agency for 13 years. He is survived by his wife and son.